This is a story about one of my life experiences that is a favorite of mine. It’s a simple story and yet it has had a huge impact on me and my family. It illustrates how you can have a normal, everyday experience, and yet see something that can forever change the way you look at life. That something in this story is a choo choo train. Around 2010 I met a very interesting woman through networking channels. I was getting ready to publish my first book, Divorce Vows – A New Approach, and I needed help with the marketing, such as creating a website, basic PR, book signings, etc. I won’t get into how disastrous that whole undertaking turned out. The important part is the person who came into my life to help me with this undertaking. The woman’s name was Montana. Her given name was Cheryl…Cheryl Gray. Cheryl was affectionately bestowed the nickname Montana by her soul mate, Matty, because Cheryl was from Montana. After he passed away from heart failure she legally changed her name. Montana was a very spiritual person. She had intuitive abilities, was a wiz with computers and was very well read and was a wonderful writer. She was also tormented. She had been abused as a child by one or both of her parents and suffered from depression. She referred to herself as a B.A.T. Brilliant and tormented. I tell you this, not that it pertains so much to the actual story, but out of respect for Montana. She came into my life when I was at a crossroads. I had just given birth to a book and I had no idea what to do with it. I was confused and searching for answers as to where to go next, what did God want me to do, etc., etc.. Montana became a confidant and someone I could share my vulnerabilities with even though our lives were vastly different. She and I had wonderful conversations about all kinds of topics. The more memorable ones were spiritual in nature. She helped me see the world through gentler, more compassionate eyes. Montana struggled financial as many metaphysically inclined souls do. She rented a room in the lower level of a home only a mile or so from me as a bird flies. She had no car and I would often go over and pick her up, bring her back to my house to do work or run errands. To get to her place I had to take a county road due east and it took not more than 5 minutes. One day on the way over to her house I got stopped by a train. I didn’t think anything of it at the time. I wasn’t sure how long the train was so I called to tell her I was going to be late. As it turned out it was a fairly short train. It only took between 30 seconds to a minute at most to pass by. No biggie. A couple of days later, I was going over to get Montana at a different time of the day, and I got stopped again by a train. Drat! Just my luck, delayed again. The train was short like the one before. I told Montana and we chuckled at the “coincidence” of it and forgot about it. 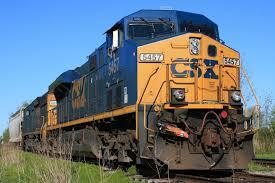 Well, a few days go by and I am going over to Montana’s and, you guessed it, I got stopped by that stinking train. The time of day was yet again different. This felt a little odd. I called Montana while I sat there at the tracks. I told her I got stopped by “the” train again and asked her what trains meant metaphysically. She checked quickly on the computer and told me trains meant that life was moving fast in a certain direction and my challenge was whether or not to jump on and take advantage of the opportunity. I thought about it for a moment. Thought that was an interesting take but it didn’t seem to answer the question to my heart’s satisfaction. Another few days go by and as you can already surmise, as I drove down that country road I could see the cross bars coming down, lights flashing and my metaphysical train was there yet AGAIN. This time I decided to ask God. So out loud, to make sure he heard me I yelled, “What the hell are all the trains about?” Immediately and I mean immediately, the words came to me. “Perfect timing.” I had to leave my house at precisely the right time to be at the intersection of the railroad tracks at the precise moment so that a train that only lasted 30 seconds or more would delay me. That was it! It was a lesson and an illustration of perfect timing. What’s even more odd is that for the next year or so that I went over to Montana’s I never was stopped by a train again. Now my kids and I have a special connection with trains. For us when we see a train they remind us that life happens in perfect timing, and often they appear in our lives when we need to be reminded of that lesson the most. As a footnote. Montana couldn’t keep up with the depression, the loneliness of her life, her financial struggles and the world in general. She said she never did feel like she fit in. Out of the blue one day she pushed me out of her life and sent me a goodbye email. Over the course of the next 6 months she allowed her health to deteriorate. She had a stroke or heart attack and passed away. She was only 61. I was to grow and learn a lot after her death. Things I now regret I didn’t notice at the moment.